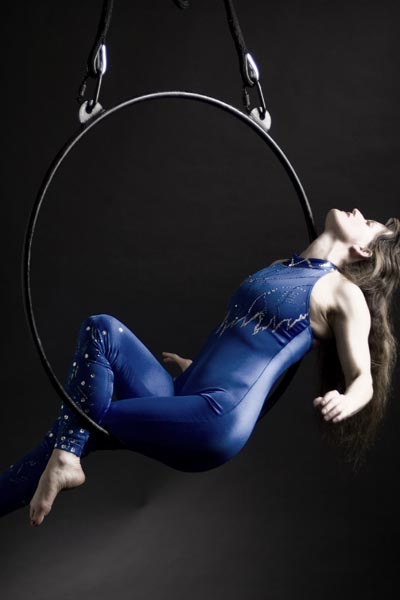 Cirque Vancouver is the website for solo Aerial Circus Artist Cori Woolfe who performs the new Circus Arts, in Vancouver such as Aerial Silks, Aerial Hoop and Dance Trapeze. Welcome! 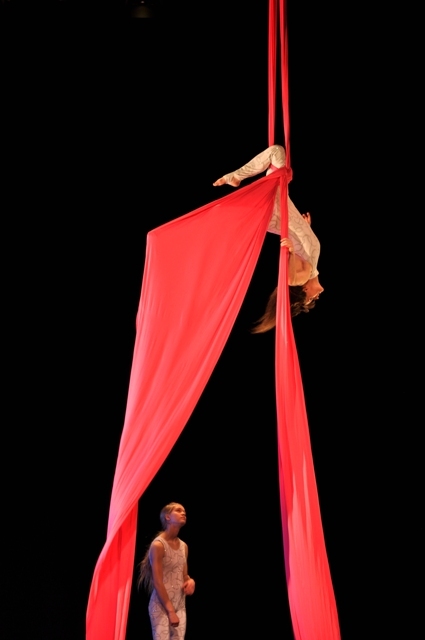 Aerial Circus Artist Cori Woolfe works in Vancouver and performs Aerial Circus Arts such as Aerial Silks, Aerial Hoop and Dance Trapeze. These are the type of Circus Arts made popular by Le Cirque du Soleil but we are not The Cirque du Soleil company. Cirque means Circus in French. Soleil means sun. Vancouver does not have much sun but we do have Circus! Sure, Cirque Vancouver seems like a big name for one small person but we hope nobody will "get bent out of shape" about it. 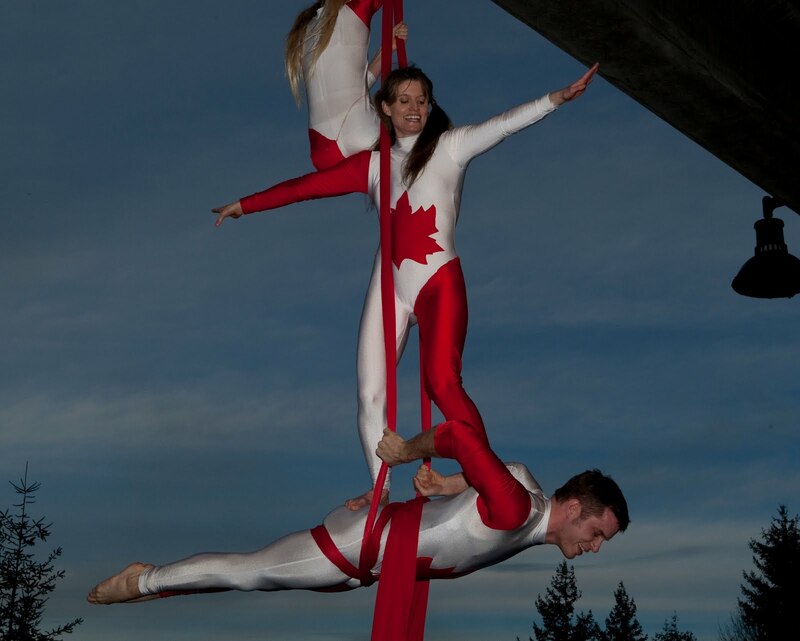 If you want to arrange for a Cirque-type performance in Vancouver this is the site to visit. A performance is never really just one person, there are many people behind the scene that make the magic happen. Cori is an independent Circus Artist but loves to perform duet or group performances. Cori works with other Aerialists in the Circus Aerials Society and is on the Board of the Great Northern Way Aerial Club. Come and be entertained. Contact Us to arrange for a performance for your event. Cori's goal and passion has been to work hard, entertain her fans, and have fun. She is excited to be performing and hopes to see you soon at a show – drop her a line if you are interested in a performance. If you like us or our site, please tell us or your friends.